Did we miss something in your vending machine? If your favorite soda, the bosses' secret favorite candy bar, or the best client's favorite ice tea isn't there when you need it, KBL Vending Services considers this a problem. At KBL, we strive to offer our clients, and their clients, the refreshment they want, when and where they want it. If your vending machine needs something, we want to know! The form below will be sent directly to the decision makers for consideration. 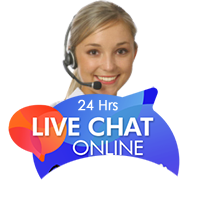 Or click on the live chat M&M guys over to the right and tell one of our Team KBL live chat operators what you would like in the machines.